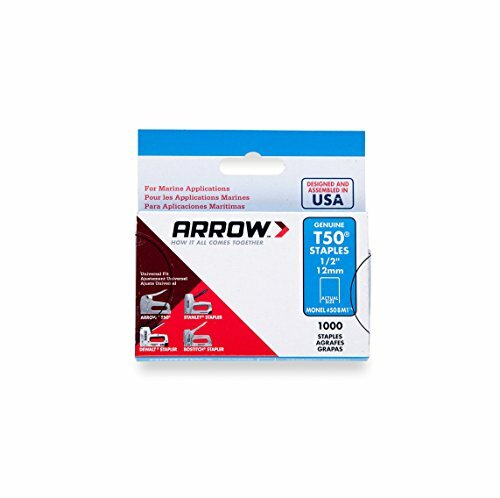 Arrow Fastener T50 3/8-inch crown, 1/2-leg length monel rustproof staples (1000-pack) are designed to resist rust when used in high-moisture environments. These staples are made from durable monel rustproof steel and feature a 3/8-inch crown size. Designed for use with Arrow, Powershot, Craftsman, Black and Decker, Stanley, Ace, and other narrow-crown heavy-duty staple guns.